BaliCabDriver presents an all in tour package for packages from 3 days to 2 nights, where you only need to buy airplane tickets from your country, we will pick you up at Ngurah Rai Airport, this package includes hotels, breakfast, lunch and dinner according to the event the tour we packed was very interesting. We expect your arrival in the afternoon from 12.00-13.00 in Bali, and our Bali driver car we will pick you up to take part in the tour, we will have lunch first at local restaurant, then continue the tour to south Bali with a visit to Uluwatu Temple which is a temple in over the height of the cliff with a very charming Indian ocean view. 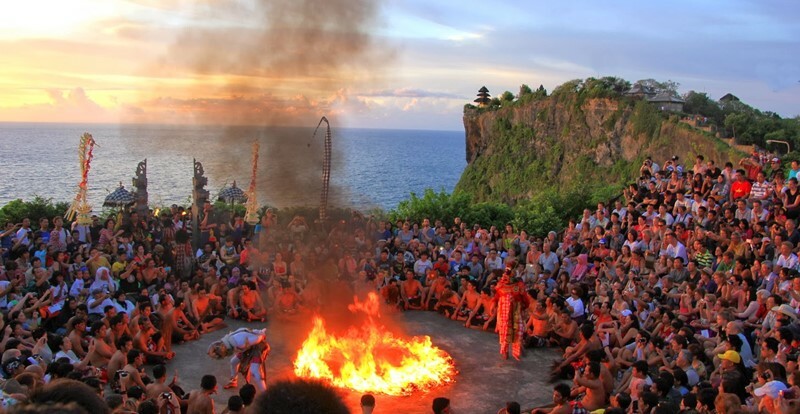 Later we will be entertained by the Kecak fire dance performance which will be displayed on an open stage near Uluwatu Temple where at the same time we can also see the beauty of the sunset at the West end during bright sunny day. Dinner at Jimbaran Beach which is famous for its menu of grilled sea food will served at one of the cafe along Jimbaran beach. After dinner, we will go to the hotel for the night. After breakfast, we will take a tour with a private car that will always be loyal accompanied by our cab Bali driver, the destination of our tour today is going to Batubulan village to watch the Barong & Keris dance performances where stories are lifted from Hindhu Mahabrata epic, telling about the battle between good against evil, once we arrive at the location, we will be given a summary of the story of the show, so that visitors can understand a little of about the story. The tour program continued to Tohpati village to see Balinese residents who have batik and weaving businesses, here we can see how the traditional batik making and weaving process is done, if you want to buy souvenirs from this village, you are welcome to see all existing collections. Our tour continues through the stone crafts and silver handicrafts and we will stop in Batuan village to visit a Balinese family where they still have Balinese traditional houses with original Balinese architecture, we will learn how the structure of buildings in a yard, people’s beds the old is in the north, the beds for children are in the west and east we have an open hall for rituals activities such as a three-month baby ceremony, a tooth filling ceremony, a wedding and also for a cremation event. 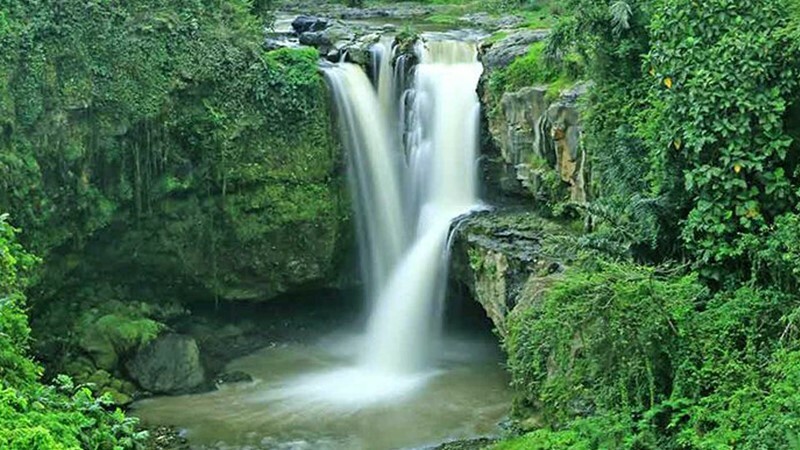 Our tour continues north towards the Tegenungan waterfall tourism object, we will take a good position for photo shoot from a good point while seeing the beautiful waterfall from a distance. After this we will continue the tour to Kintamani by going through the countryside, rice fields and citrus garden, we will arrive at the village of Penelokan Kintamani, we will go to the restaurant for lunch with Indonesian buffet lunch, while having lunch we will enjoy the beautiful landscape of Caldera Gunung Batur and Lake Batur, breezy winds add to the beauty of this spot. After lunch, our tour continues with a visit to a spice garden that is still beautiful, walking into this garden gives a sense of peace and tranquility, we can see clove trees, cocoa trees, vanilla, ginger and other plants that are arranged nicely, When we visit the spice garden, we will see the process of making coffee in the traditional way and you also have the opportunity to try drinking coffee, tea, ginseng and other drinks. 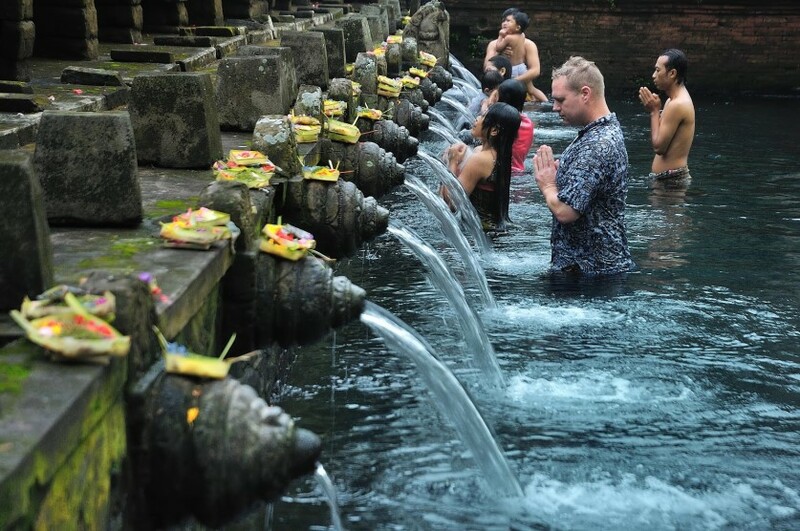 Next we will continue the tour to Pura Tirta Empul Tampak Siring, a tourist attraction that is very famous for the holy springs that gush from the ground which is believed to have magical powers to heal themselves by bathing in sacred pool. 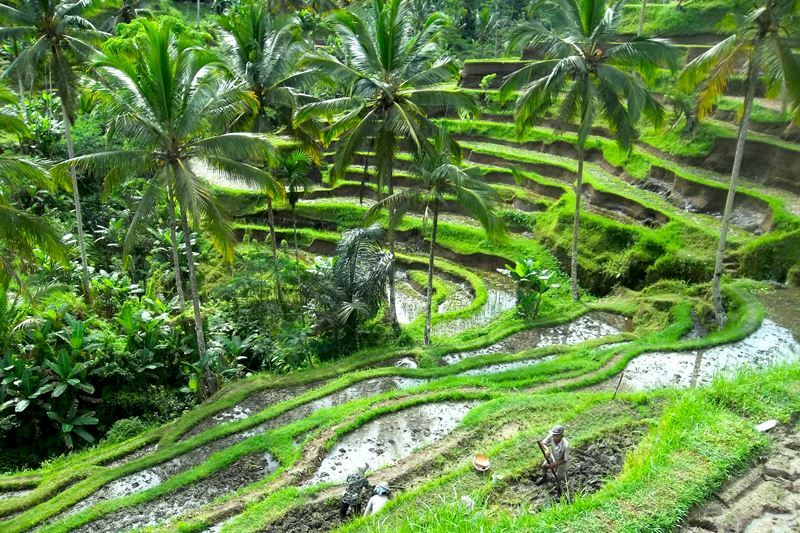 Our tour continues towards the best Tegalalang rice terraces village with its rice fields with views of the valley interspersed with coconut trees and also the activities of farmers who work in preparation for planting rice. Next we will head to the very famous Ubud Village Center with the attraction of Ubud Palace and Ubud Art Market. We will spend time walking around while a little shopping from the local traders that you will find in the Ubud market. Don’t forget to bargain with traders to get the best prices from them. At the end of the tour, we will have dinner at local restaurant, after dinner transfer back to hotel. Our tour on the last day will go to Tanjung Benoa Beach, before the tour, please enjoy your morning breakfast at the hotel. When you are ready, we will check out from the hotel, luggage will be taken on our tour trip today. First we will go to Tanjung Benoa, where we will ride a glass bottom boat from the shoreline to the turtle island, on our journey we can see the fauna life under sea, when we arrive at Turtle Conservation we will see how the turtles go to breeding and are preserved for our next generation. 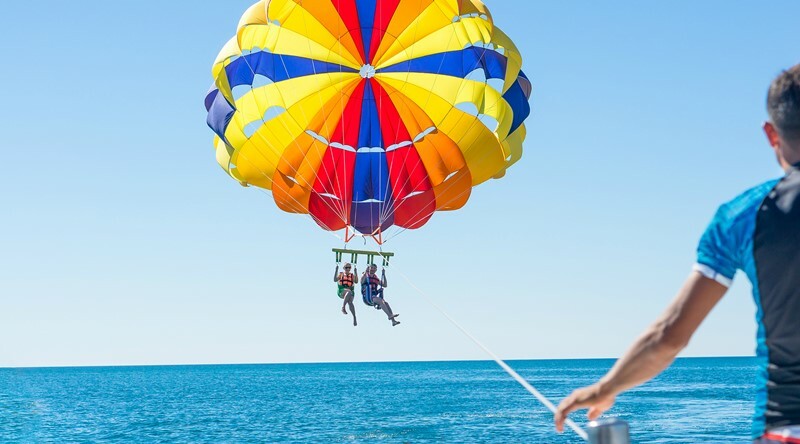 After the visit, we head back to the shoreline, if you want to try other game of rides such as jet skiing, Banana boat, Parasailing and other game that are subject to additional fees, light lunch will served here. The tour continues to shop for souvenirs in Krishna Souvenir center, find by cheap prices, such as various types of T-shirts and other things, at the end of the tour, we will take you to the airport for your flight back to the country. Have a safe flight, end of services. ULUWATU CLIFF TEMPLE: The Famous sea temple from 11th Century at Southern Peninsula with Indian Ocean View, visitors also will meet the monkeys around the Temple. KECAK & FIRE DANCE: Enjoy the Magical show of Indian Ramayana Epic with Kecak and fire dance show while enjoy the sunset at Open stage around Uluwatu Temple. 19.35 – JIMBARAN BAY : Dinner with Fresh Barbeque seafood set menu dinner. 20.35 – Transfer to hotel for check in, Enjoy your stay, free program. Remarks : If we have spare time, we may visit Padang-Padang Beach or Dreamland Beach or Pandawa Beach. 07.00 – Breakfast at the hotel. 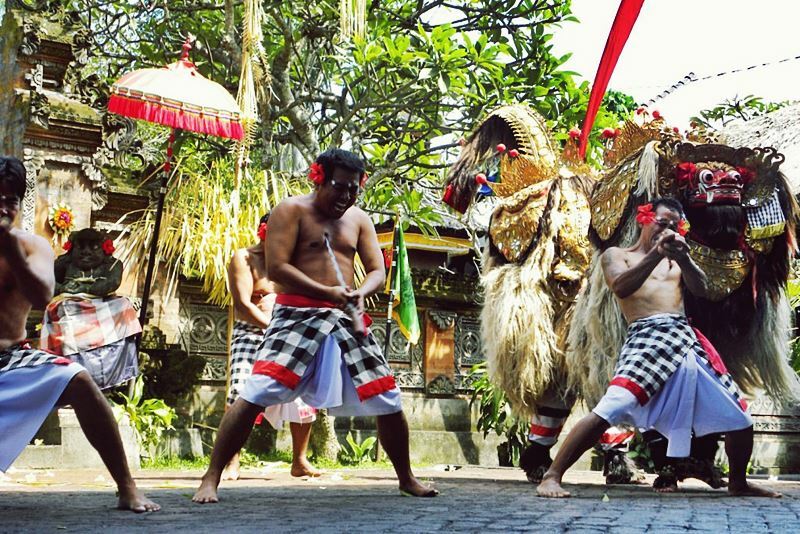 BARONG & KERIS DANCE : Enjoy the Magical show of Barong & Keris dance with Indian Hindu Epic, the story about fight of Good and Bad Evil. TOHPATI VILLAGE : The center of Batik and hand weaving handicraft. BATUAN VILLAGE : Balinese house compound, with traditional way of life, unique stop. 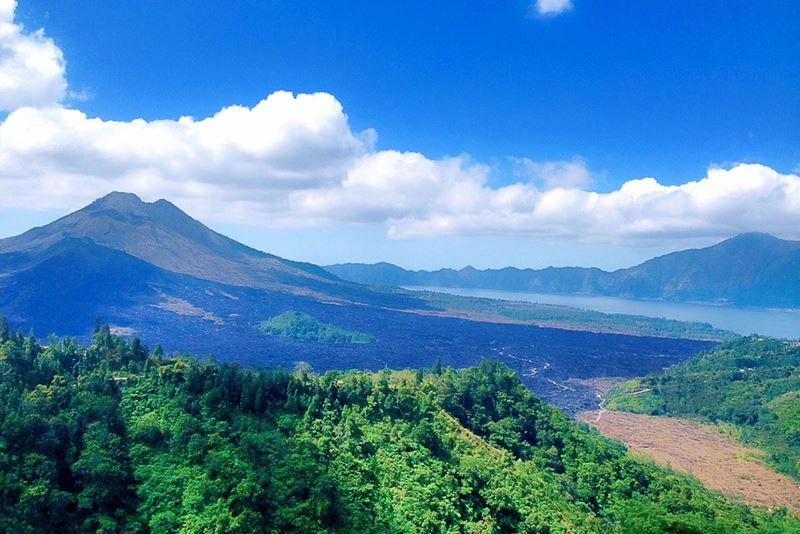 13.00 – KINTAMANI : Enjoy The Marvelous view of Batur Volcano + Lake Batur while enjoy Lunch at local restaurant. TEMEN : Bali Spices Garden with Coffee, Clove, Vanilla and other spices plantation and see how the local made coffee in traditional way, taste some local coffee for free. TAMPAK SIRING / TIRTA EMPUL : The Holly Spring Temple with curative power or visit SEBATU HOLLY SPRING TEMPLE: Another beautiful Temple with holly spring and holly fish. TEGALALANG RICE TERRACES : Short stop for take photo of Beautiful rice terraces. 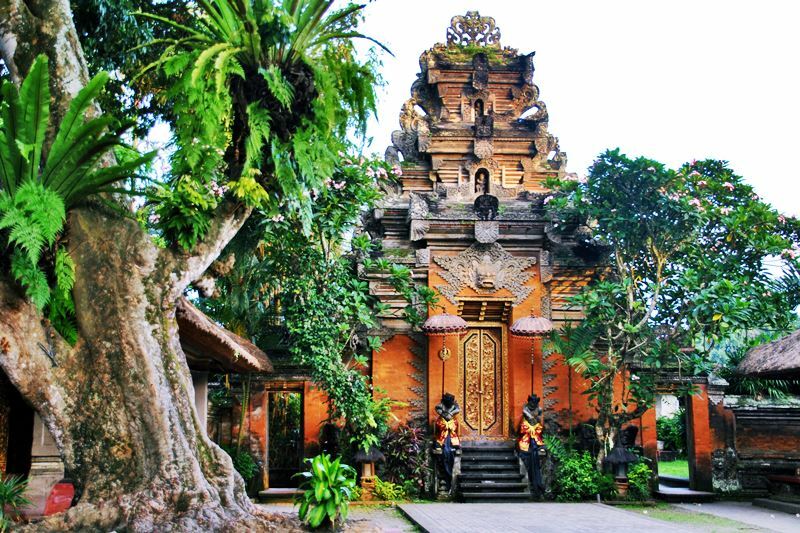 UBUD CENTER : Let’s Explore and spend your time at Ubud Arts market and visit Ubud Palace. 20.00 – DINNER : Enjoy your dinner at local restaurant. 21.00 – After Dinner transfer back to hotel, free program. 07.30 – Breakfast at the Hotel. TANJUNG BENOA BEACH: Take the glass bottom boat to take you to Turtle island conservation. Other water sports activities are available like Jet ski, Banana boat, Parasailing etc at personal extra charge. Light lunch and soft drink will served at water sport location. KHRISNA WHOLESALE CENTER : Time for you to shopping with Cheap, unique and gorgeous handicraft. REMARKS: Tour program can adjust subject on your Arrival & departure time!!! Airport return pick up services. Hotel pick up with Fully air-conditioned private car. All entrance ticket and donation at scheduled stop. Ticket boat to turtle island. Free Sarong when enter the Temple. 2 Night stay accommodation at 3/4 star hotel with sharing room Includes daily Breakfast. Minimum 2 adult is required to join this tour. For single traveler additional 50% charge. Child from 3- 11 years with Sharing bed with Parents. Infant 1-2 years is FREE. Payment by Online Paypal Credit Card with 4% extra charge. Private tour, means there is no other participant, just you and your companion. If you book without Hotel, Breakfast will not included in the package and Payment can settle once we meet in Bali Airport. If you book package with hotel, we need 50% deposit by Online payment and the balance will collected once we meet in Bali Airport. Your reservation is absolutely secure, all personal data is encrypted and will be processed in a secure way through secure email. We take the privacy of your personal data very seriously. Your personal information will only be used to process your booking.